Since the cremaster muscle flap is a well-vascularized tissue it is applicable to solid tumor implantation. Following implantation, tumor growth and angiogenesis, along with molecular transport within the tumor and the delivery of genetic vectors and anticancer therapeutic agents, can be studied. Also, this model allows direct control of the inflow and outflow of the substances into the cremaster microcirculation, which is important during evaluation of tumor biology and drug testing. Technique. Through an incision on the anterior surface of the exposed cremaster muscle, the testicle pedicle and spermatic cord are isolated and dissected. The testis is removed from the cremaster pouch and retracted into the abdominal cavity. 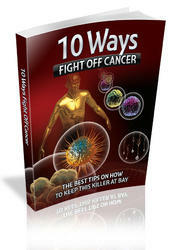 The tumor cell suspension is then injected directly into the cremaster muscle. The incision is then closed, and the cremaster tube flap is implanted into the medial border of the limb. It is withdrawn from the limb only at the time of microcirculatory measurements. Intraarterial injection of substances of interest is done directly into the pudic-epigastric pedicle after clamping of the iliac and femoral vessels. To summarize, the cremaster muscle flap model has been proven to be a novel model for cancer research with broad applicability and with specific value for the study of tumor biology and angiogenesis. Blood rheology: The study of the flow and deformation of red blood cells. Cremaster muscle: Thin (200 microns) skeletal muscle covering testicles. Innervated by the genitofemoral nerve and vascular supply provided by pudic-epigastric vessels. Because of its thin muscle layers, the cremaster may be transilluminated and used for intravital microscopic observations. 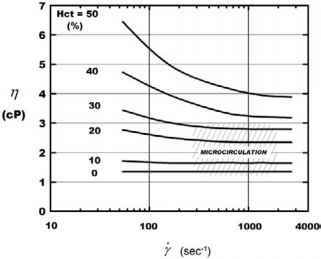 Hemodynamics: The study of physical aspects of blood circulation, including cardiac function and peripheral vascular physiology characteristics. Intravital microscopy observation: Observation performed under magnification of the light microscope upon a living tissue, in this case the cremaster muscle flap observed under 1,800x magnification. Leukocyte-endothelial interaction: The relation between leukocytes present within the vessels and the vascular endothelium that can be altered in physiological and pathological states. Microcirculation: Circulation of blood in the most distal part of the circulatory system, within the smallest vessels of the body such as arterioles, venules, and capillaries. 1. O'Shaughnessy, M., Jin-Mei, G., Wyllie, F., Acland, R., Anderson, G. L., Banis, J. C., and Barker, J. H. (1994). Microcirculatory consequences of microvascular surgery. Microsurgery 15, 405-412. 2. Majno, G., and Palade, G. E. (1961). Studies on inflammation. 1. The effect of histamine and serotonin on vascular permeability: An electron microscopy study. J. Biophys. Biochem. Cytol. 11, 571-605. 3. Grant, R. T. (1964). Direct observations of skeletal muscle blood vessels (rat cremaster). J. Physiol. 172, 123-132. 4. Baez, S. (1973). An open cremaster muscle preparation for the study of blood vessels by in-vivo microscopy. Microvasc. Res. 5, 384394. 5. Miller, F. N., and Wiegman, D. L. (1977). Anesthesia-induced alteration of small vessel responses to norepinephrine. Eur. J. Pharmacol. 44, 331-337. 6. Anderson, G., Acland, R. D., Siemionow, M., and McCabe, S. J. (1988). Vascular isolation of the rat cremaster. Microvasc. Res. 36, 56. This paper introduces a new model of the cremaster muscle flap isolated on the neurovascular pedicle for microsurgery studies. This model allows monitoring of effects of ischemia-reperfusion injury by application of vascular clamps to the feeding artery and vein of the muscle flap. 7. Siemionow, M., and Nanhekhan, L. V. (1999). Introduction of cremaster muscle chamber technique for long-term intravital microscopy. Ann. Plast. Surg. 43, 161-166. This article describes the ability to perform chronic measurements of microcirculatory hemodynamics by application of the cremaster muscle chamber model. 8. Siemionow, M., Andreasen, T., Chick, L., and Lister, G. (1994). Effect of muscle flap denervation on flow hemodynamics: A new model for chronic in vivo studies. Microsurgery 15, 891-894.
graft rejection. Ann. Plast. Surg. 41, 275-282. This is a first report on transplantation of the cremaster muscle allograft across a major his-tocompatibility barrier. The acute phase of allograft rejection is recorded by recording of leukocyte-endothelial interactions and hemo-dynamic changes of vessel diameters and capillary perfusion. 10. Siemionow, M., Ozer, K., Porvasnik, S., Zins, J. (2000). Microcirculatory window for detection of allograft rejection. Ann. Plast. Surg. 44, 637-643. Maria Siemionow, M.D., Ph.D., is board certified in Rehabilitation Medicine, Orthopedic Surgery, and Traumatology and Microsurgery. Dr. Siemionow did her orthopedic surgery and hand surgery training in Poznan, Poland, and Helsinki, Finland, respectively. Later she became a Hand and Microsurgery Fellow at the Christine M. Kleinert Institute for Hand and Microsurgery (Louisville, KY). Currently she is the Director of Plastic Surgery Research, Head Microsurgery Training, Department of Plastic Surgery at The Cleveland Clinic Foundation. She is a full staff member of the Plastic Surgery Department and holds joint appointments with the Department of Orthopedic Surgery and the Transplant Center and with the Department of Immunology, at the Cleveland Clinic Foundation. She has adjunct appointments at Ohio State University and Case Western Reserve University. Dr. Siemionow has received several awards for her contributions in the fields of hand surgery, microsurgery and transplantation. She is the author of 122 peer-reviewed articles and 319 abstracts. Andrea Moreira-Gonzalez, M.D., is currently a Research Fellow at the Department of Plastic Surgery at the Cleveland Clinic Foundation. Dr. Gonzalez is a fully trained plastic surgeon that did her general and plastic surgery training in Sao Paulo, Brazil. After she did a Craniofacial and Reconstructive Fellowship at the Institute for Craniofacial and Recoon-structive Surgery in Southfield, Michigan. Dr. Gonzalez received several awards for her research in Reconstructive Plastic Surgery and is the author of 15 peer-reviewed articles and 47 abstracts.